BDN was pleased to write this article about defense industry PR for Artillery Marketing's Douglas Burdett and share it with his Fire Support Blog audience. 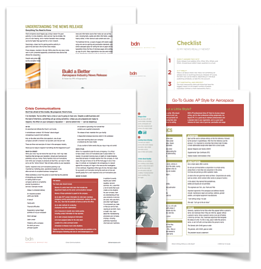 Though originally published in 2016, these PR principles are timeless and can help any aviation or aerospace business — commercial or military — seeking to improve or increase its editorial coverage. Most executives, including defense company leaders, love positive press — and with good reason. Media coverage can be a powerful force multiplier for defense firms seeking to bring third-party credibility to their overall marketing strategies. It’s not surprising then that internal media or public relations teams are pressured by the C-suite and sales to “get us in the news,” and then criticized (or sometimes fired) when the coverage fails to materialize. A 2015 Holmes Report B2B technology study found that 89 percent of PR managers and directors say “volume of press coverage” is the top criteria for success, and 83 percent feel under more pressure to deliver than in the past. The problem is that too many industry leaders and practitioners don’t know how to work effectively with the news media — or have cultures that create roadblocks to success. Here are 5 things that are keeping your defense firm out of the news — and 5 things you can change to achieve the coverage you want. 1. First and foremost, your company is not helpful. Marketing guru Jay Baer wrote a New York Times bestseller called “Youtility: Why Smart Marketing is About Help not Hype” that cuts to the heart of what most defense industry media relations pros are doing wrong. Nearly every item on this list comes back to being selfish and internally focused. Companies that approach the media with a “me, me, me” mindset are doomed to fail. Ironically, if you always make it about you, it will never be about you. 2. You don’t give journalists what they need. Great PR people work to find out what defense industry journalists want and then give it to them. 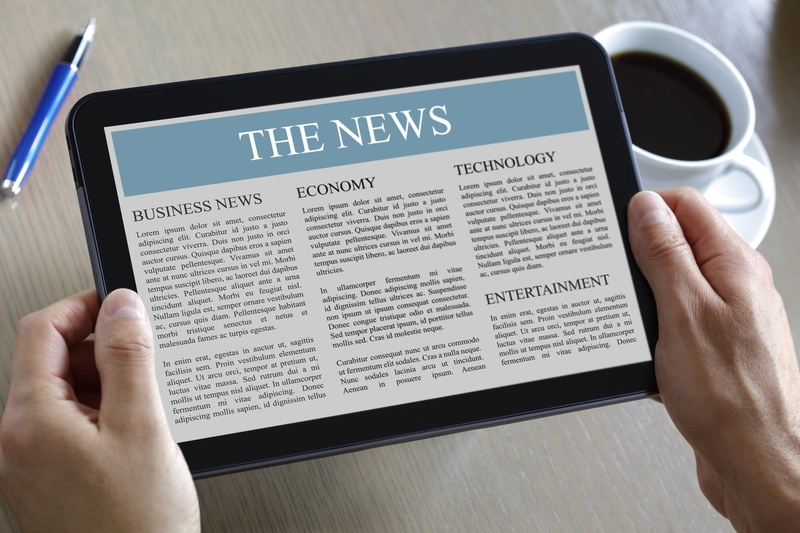 The Holmes Report study found that 83 percent of respondents claim that their business’ perception of the role of PR was to churn out news releases. But great PR people don’t blanket credible publications (the ones that defense industry influencers read) with junk news releases or embarrass themselves with phony press conferences designed to make management feel good. They won’t pitch stories that don’t fit the editorial focus or that lack a connection to trends and events. Great PR people build relationships over time that are focused more on what the journalist wants and needs, and less on what the company wants and needs. Please don’t ask them to do otherwise. 3. You are too slow to respond. Or don’t respond at all. Just as with lead conversion, when it comes to working with the news media, response time is of the essence. When someone in the news media wants to talk they want to talk right now. Media pros that respond quickly will get the coverage they want today and the appreciation of a journalist who will call them again in the future. It’s hard to believe, but journalists have independently told us about a helicopter OEM with a media relations department that just never returns calls. Don’t be that company! The news media is not your enemy. Empower your people to do whatever it takes to develop a process that allows for expediting media responses. Former military personnel who are accustomed to giving orders and being in charge can be out of their comfort zones when working with journalists. The New York Times interviewed XTI Aircraft Company executives about the company’s use of crowd funding for new aircraft development, but before the article ran, a key member of the leadership team died. In that moment, Times editors changed the story to “Regrouping After the Death of a Top Executive.” Instead of protesting the change in direction or pulling out of the story, XTI fully supported the piece and strategically shaped the messaging to its advantage. Remember, once you start working with the media the story is in their hands and out of your control. You don’t get to read it in advance or dictate content. But if you can adapt and manage expectations, you can still be successful. 5. Your PR people are disconnected. The most successful defense company PR people constantly mine their organizations for data, trends and visuals they can use to tell the company’s story. They don’t wait for someone to come to them with an idea for a news release. Allow them to be closely plugged in to the business at the highest levels, so they understand organizational goals and strategies, and recognize PR opportunities when they occur. They embrace new and non-traditional media, too, utilizing social monitoring to identify and understand relevant trends, and use social media to connect with the news media, bloggers and other key influencers.